The same Twitter user who spotted benchmarks from the unreleased 2990WX and the rumored RTX 2060 has found a few more interesting listings. The first is a "Radeon Pro Vega 48" listing in the PCMark 10 database. While the system configuration and the total score weren't shown, and the "gfx901" tag is used in a regular Vega 64 score, the various individual scores don't seem to line up with benchmarks from other Vega cards. 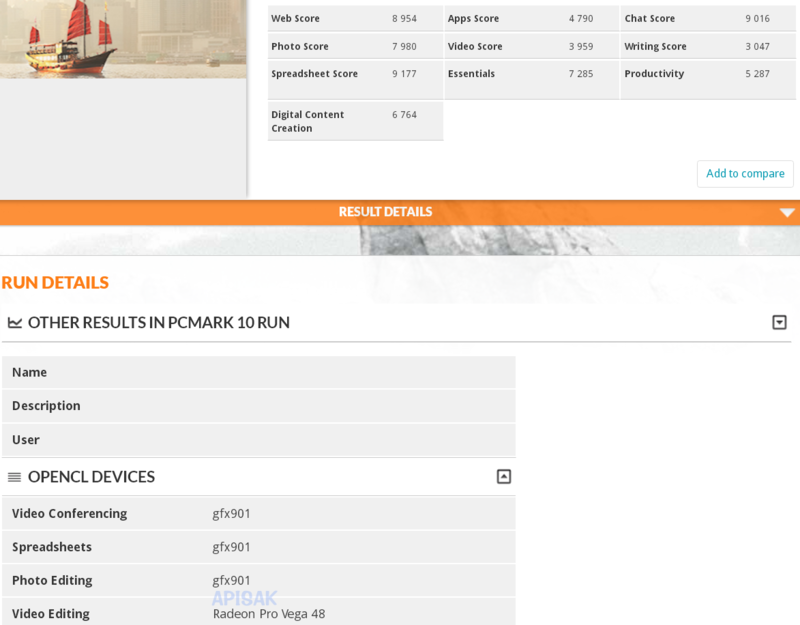 Meanwhile, APISAK also spotted some benchmarks of laptop RTX cards, like an RTX 2060, an RTX 2080, and a 2070 MAX-Q. Obviously, all this needs to be taken with a huge grain of salt. But the mobile RTX listing could be a sign of smaller, cheaper Turing silicon to come, while the "Vega 48" card might be a custom chip for Apple.